One of the best things about the Euroleague Final Four event taking place in Madrid this weekend is the fact that it is not just about the main basketball games. Yes, the majority of the focus is rightly on the Sunday final, which we now know will feature Real Madrid and Olympiacos, but there is a lot more to the weekend than just the progress to the big final game. The Fanzone has been rightly praised and a lot of people have turned up to have some fun. There are plenty of Madrid residents getting involved and Madrid is a city that will always welcome a lot of visitors at the weekend. This means that you will have people who may not be strictly basketball fans or support a club, but who are keen to get involved with the great atmosphere and perhaps want to see some sporting action. 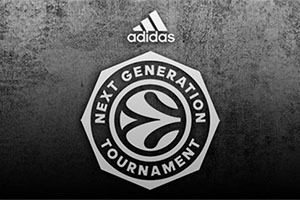 There are a number of additional basketball events and sessions over the course of the weekend and one of the most important is the Adidas Next Generation Tournament. As the name of the tournament suggests, this is a sporting event based around youngsters and the next wave of basketball players. If you are the sort of person that believes top level sport is too commercial and that there has been a disconnection between the top players and fans, youth basketball is definitely the sort of sport that would be of interest to you. These are players who still play with the wonder and excitement of youth, but they have plenty of talent as well. There has been a lot of great basketball action on show already in Madrid with the Adidas Next Generation Tournament and if you cannot wait until Sunday evening for the Final Four Championship game, you will find that there is a final taking place on Sunday lunchtime in this event. 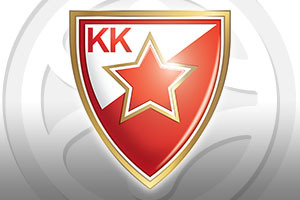 On day 2 of the event, Friday the 15th of May, Crvena Zvezda Telekom Belgrade booked their place in the Sunday final. The team from Belgrade defeated Spars Sarajevo by a score of 95-47 and with Unicaja Malaga defeating Zalgiris Kaunas by a score of 78-73, the Belgrade side had an unassailable lead at the top of Group A, allowing them to progress to the final. As the defending champions, a lot was expected of Crvena Zvezda and they lived up to the pre-tournament billing. In Group B, Real Madrid grabbed a 2-0 lead after they defeated INSEP Paris 65-58 but they were unable to clinch their place on Friday night as there was still a chance on the final day that they could be overtaken by VEF Riga, who defeated Stellazzurra Basketball Academy Rome by a score of 61-92 on Friday night. However, the team from the host city took care of business on Saturday lunchtime in their game against VEF Riga. The final score was 60-85 in favour of Real Madrid. This means that the Sunday final for the Adidas Next Generation Tournament at Under 18 level will be between Crvena Zvezda Telekom Belgrade and Real Madrid. The main focus on Sunday will fall on the big showcase final, but this game provides an early warm-up for the main event.